Painted by Trevor Mitchell, this delightful puzzle of the village of Hutton-le-Hole in North Yorkshire aims to evoke memories of picnics by the stream and family days out. 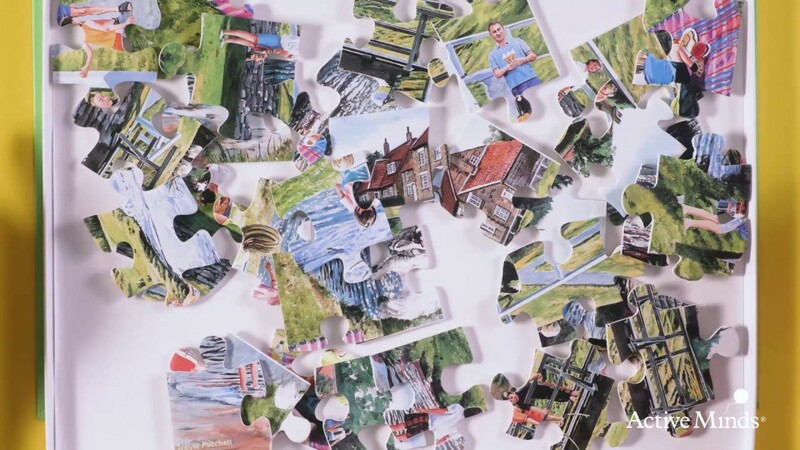 This puzzle consists of 35 pieces that have been designed for people in their mid to late point of their dementia journey. Perfect for people who found both our twenty-four and thirteen piece puzzles too easy to complete. All of our puzzles are made from plastic, making them extremely durable and easy to clean after use.